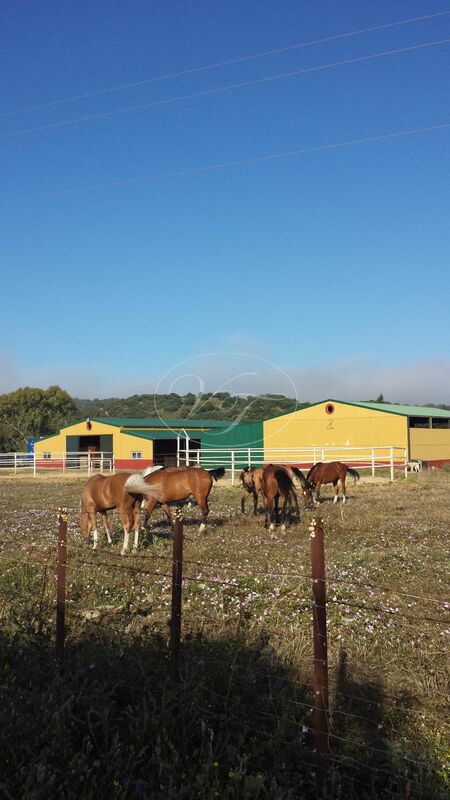 Equestrian property in Alcala de los Gazules, Costa de la Luz, Andalusia. 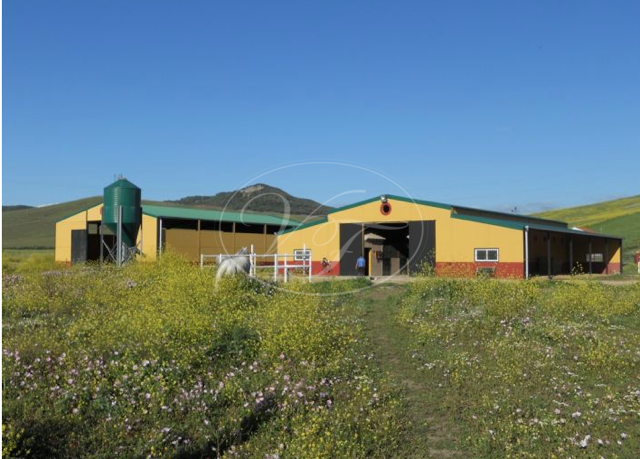 Total built size is 764m2, of which 156m2 belong to the main house, 57m2 to the garage/studio, 38m2 to a storeroom and 512m2 to the stables and the covered arena. 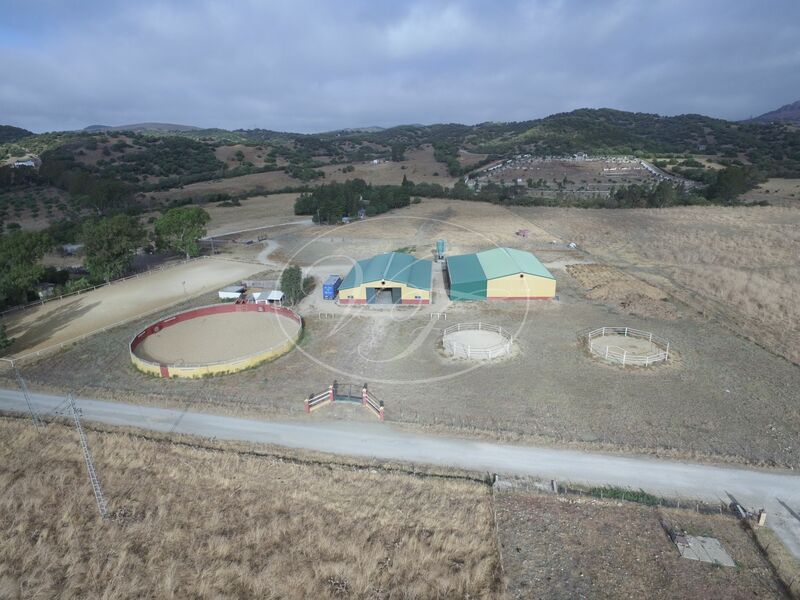 There is a competition-sized arena (60-40) and a round pen. 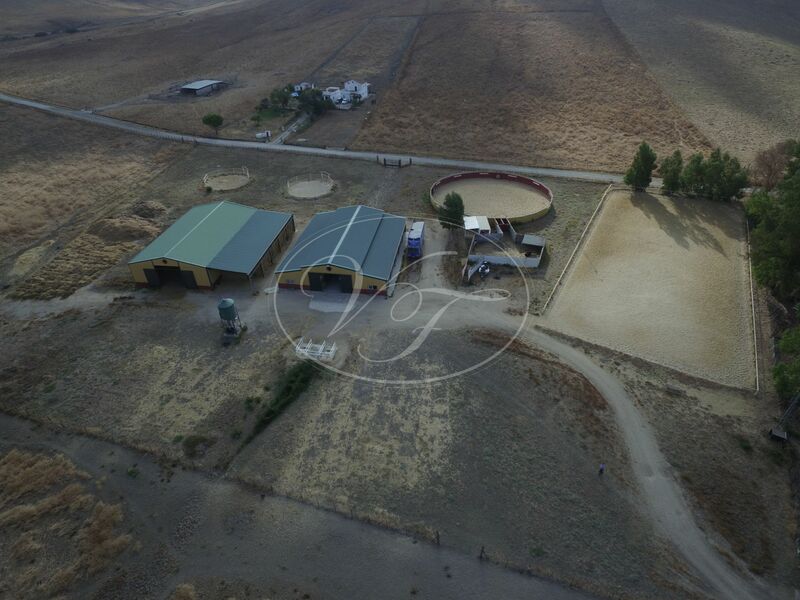 If you always dreamed of having an equestrian property in Andalusia, in the sun, amidst unspoilt nature with your horses – peaceful but not too far from the nearest town, then have a look at this is the one. 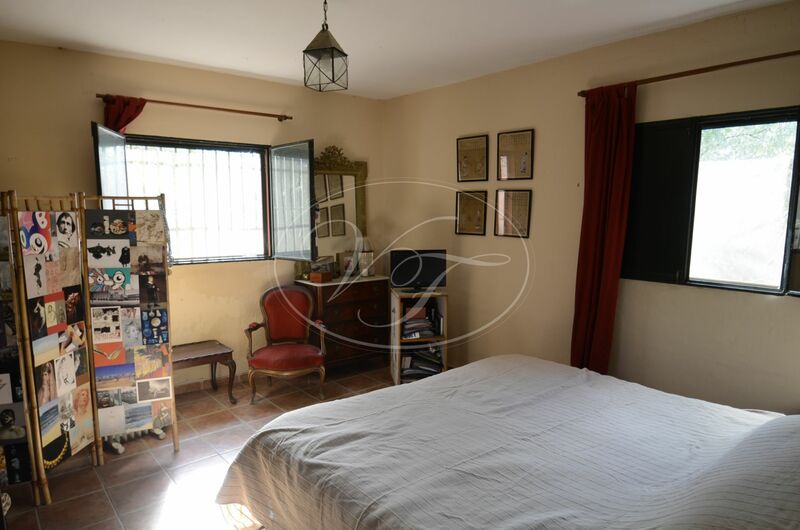 The property comprises three buildings: a house of 81 m2 with 3 bedrooms, lounge, kitchen and bath, the second building of 75 m2 with a large and comfortable reception room with open fireplace and open kitchen. 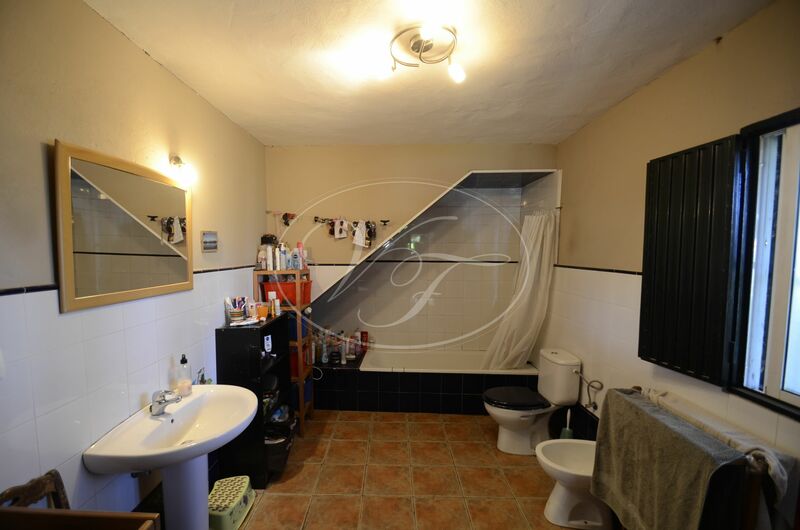 Adjoining is another building with a garage and a bathroom on the ground floor and a large bedroom upstairs. 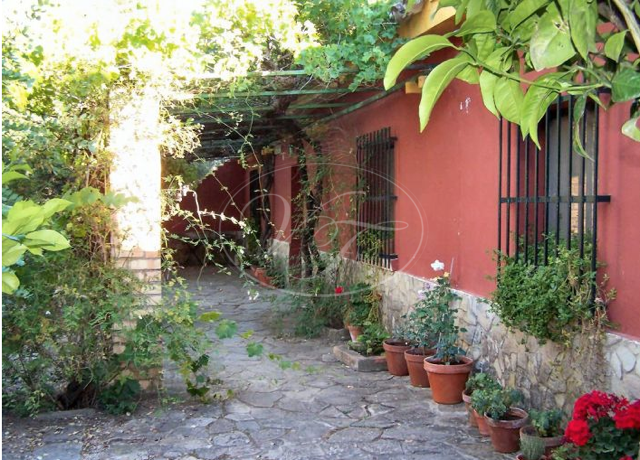 Nearby is another small building. 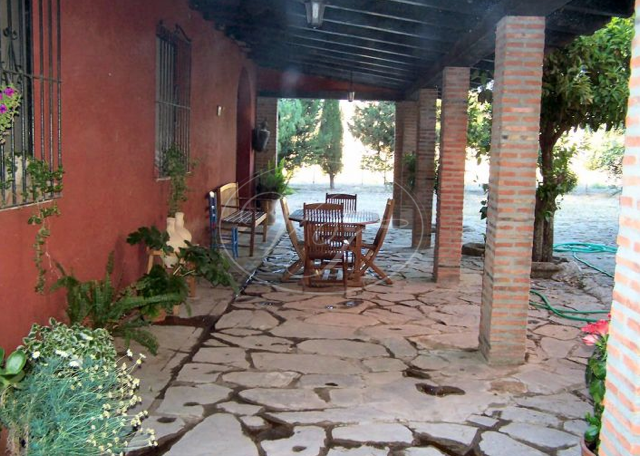 In the garden is a large water deposit which also serves as a small pool. 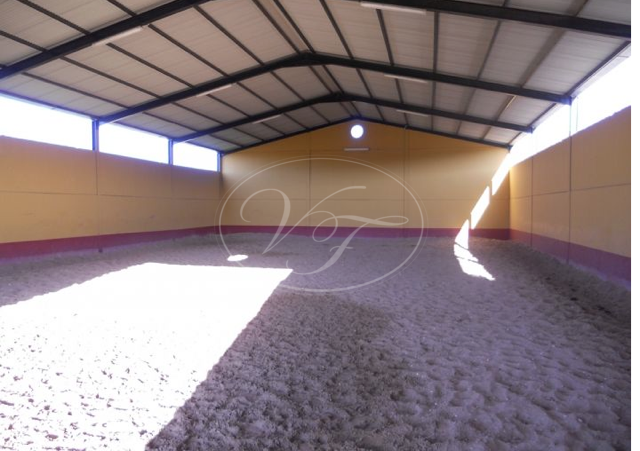 This equestrian property offers everything you can wish for: A large riding arena (60×40) with flood light, a barn with 12 horse boxes opening into the barn and another 6 boxes opening to the outside, plus a tack room, an office and guest toilets. 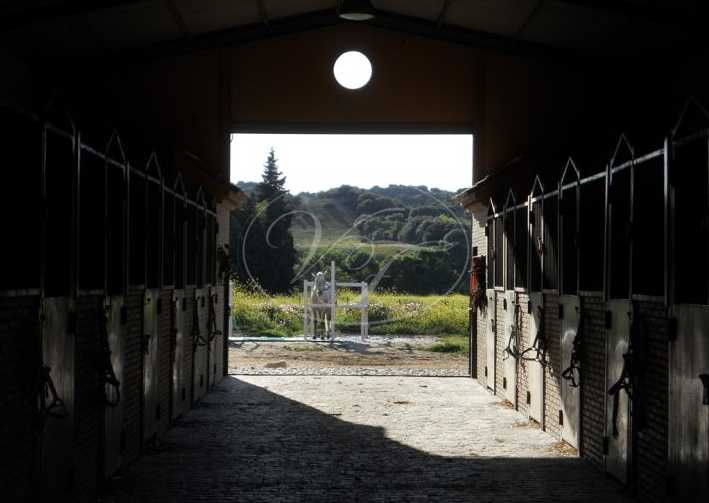 The other side of the barn has an overhang which can be used as open stables or converted into closed boxes…. 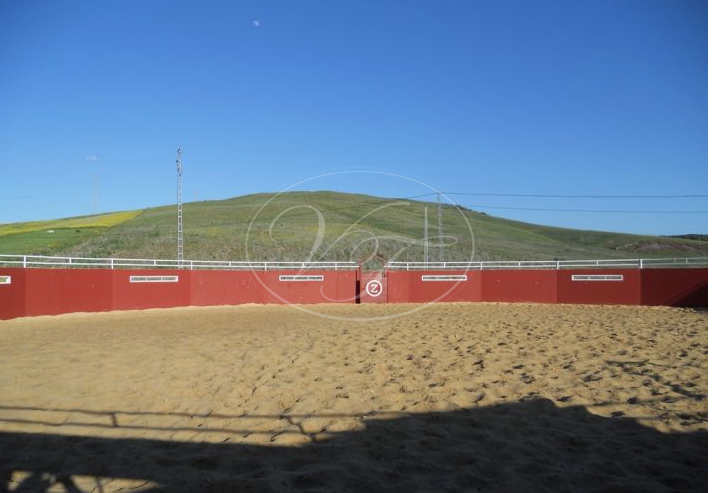 There are also two round pens, a bullring, a loading station and horse showers. 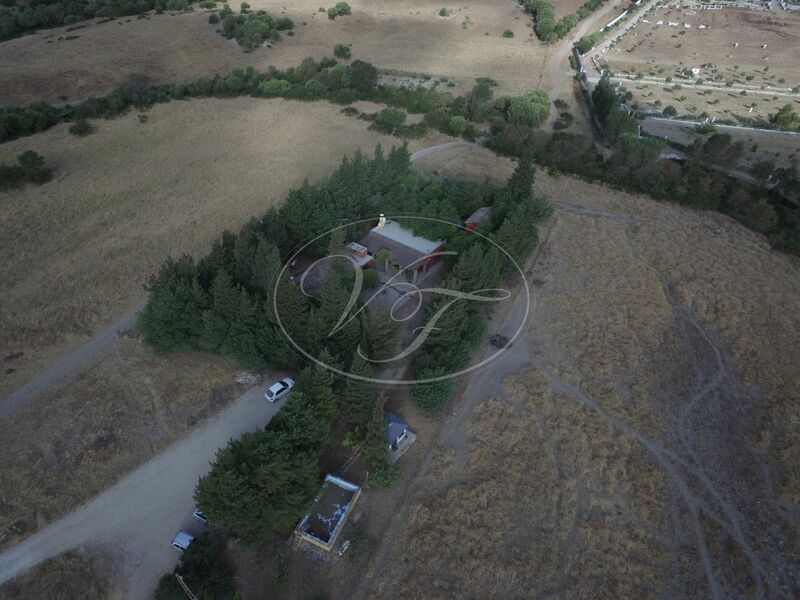 A neighbouring meadow with 4 ha can be rented for € 900,-p.a. 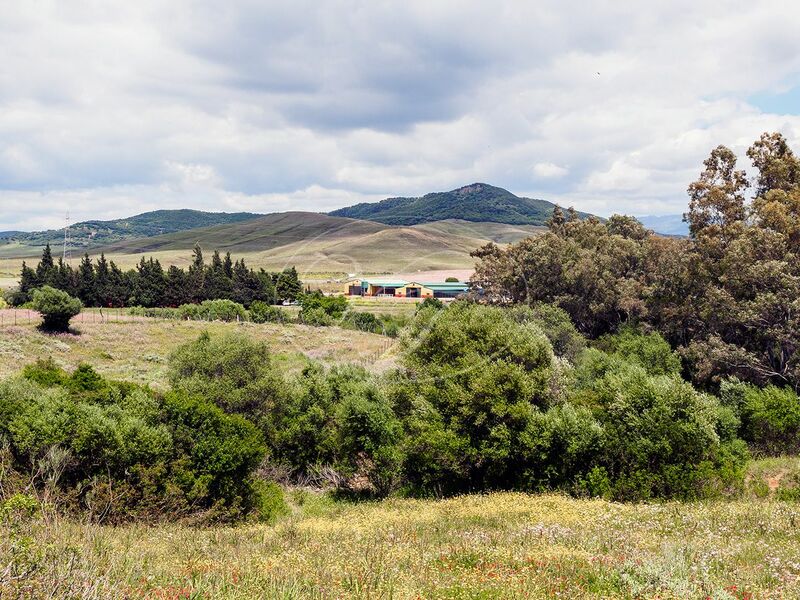 This country property is connected to water and electricity. 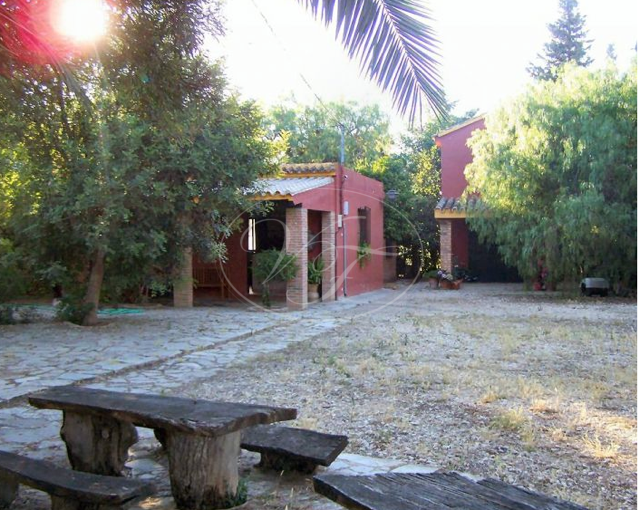 It is located at a 10-minute drive from the closest village, at 40 minutes from Jerez (with an airport) and just over 1 hour from Seville. 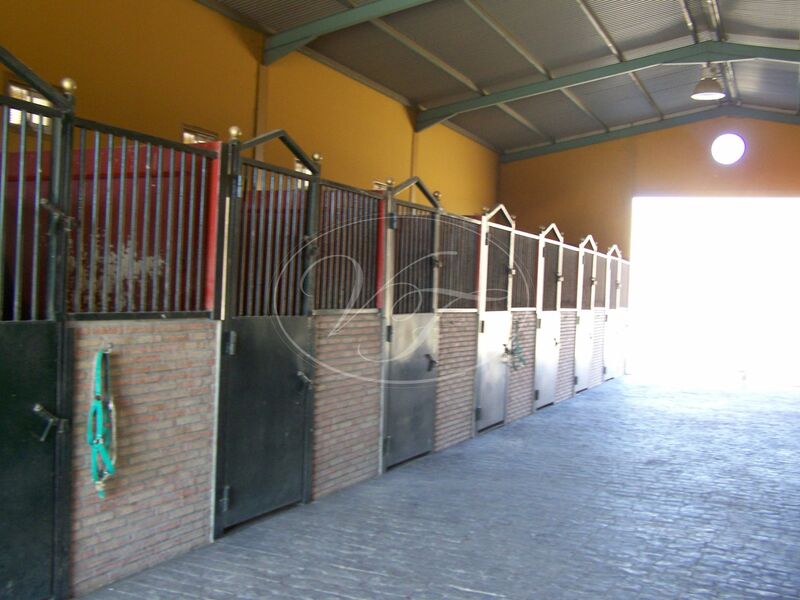 Very easy access and of course, at a convenient distance of the Montenmedio Equestrian centre. 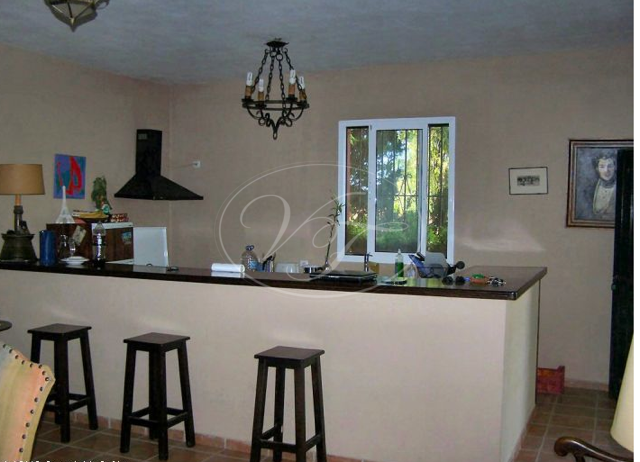 Please, send more information about ref 186-00670P, Finca in Alcala de los Gazules or similar properties.